In the spirit of Christmas and all things giving, Fathom – Carnival Corporation’s new cruise line dedicated to social impact – is well on its way to set sail as final preparations are made for guests and travel agents alike. And now we know more about what passengers can expect onboard the ship when the repurposed Adonia launches in April 2016. After first announcing departures for the Dominican Republic and Cuba, subject to final approval, the new cruise brand has been in high gear attracting and servicing its first guests. Fathom has already embarked on an eight week tour to familiarize nine US and Canadian markets that concludes on December 8 in Toronto, Canada. 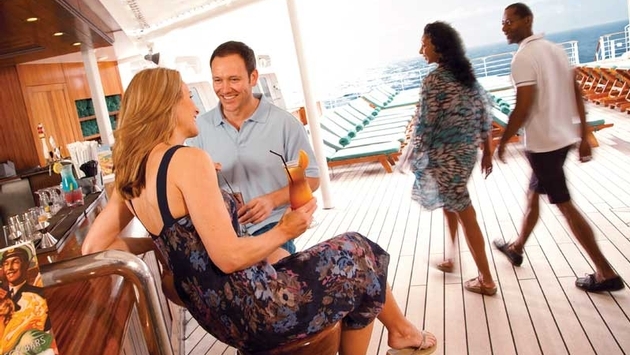 Combining customizability and speed to assist those markets is POLAR Online, a booking engine, also in use by other Carnival Corp. brands, that allows travel professionals to best reserve cruises for their group and solo clients. Built in to the portal are 40 optimized functions to find sales services, category upgrades, destination details, ship information, rate specials and final payment management. Also, Signature Travel Network, a leading cooperative of 205 travel agencies and over 6,000 individual agents in 442 North American locations, has agreed to partner with Fathom as a preferred supplier, further broadening the sales reach of the new cruise line. On the ground, the Fathom experience will be full of cultural immersion and “voluntourism" opportunities, and now the onboard experience has been outlined in more detail. The 704-guest Adonia will be redeployed from P&O Cruises, maintaining its status in the UK fleet even whilst based in America, and serve as both an educational primer to what participants can expect once ashore and a relaxing home base comprised of a variety of accommodation levels and amenities. Setting the scene are a spa and panoramic fitness center; games, sun and pool decks; library and venues serving regional cuisine and performing Caribbean-themed musicals. Enrichment is key and highlights include cultural, historical, geographical and linguistic immersion, transformational experiences set to expand guests’ worldview in several of the vessel’s venues. Also available from midday into the evening, although not yet located on the deck plan, will be The Glass House, Adonia’s intimate wine bar. Here, new-world wines by the glass as well as beer and cocktails will be served to patrons. 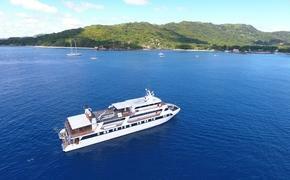 A day or two at sea ahead of arrival affords passengers ample time to relax and prepare for shoreside participation. Fully-packed programming including seminars like keynote speeches, core classes, Spanish sessions and overarching cultural conferences. Recreational and sightseeing opportunities in the Dominican Republic will also be topics. Getting the most out of Carnival Corp.’s new Amber Cove port in the DR, local musicians will be featured on land, and Cuban and Dominican music will play onboard as live performers delight in concert, likely in The Curzon Lounge, or a renamed theater, around the pool deck and possibly even the forward observation lounge. The shipboard retail experience will also be unique with “authentic goods and merchandise from purpose-driven businesses that empower local entrepreneurs around the globe” for sale. Plus, Embody, the newly dubbed spa, will provide participants the chance to unwind with many available full-service treatments. When asked what preparations will be made to the ship to service these onboard opportunities, Fathom says there will be enhancements made to the vessel’s hardware and software that include the retail space, place-making, environmental light fixtures, local art showcases and so on. But with Adonia expected to remain a part of P&O Cruises, the changes are likely to be subtle. Still, the lasting impact of the Fathom brand will surely be felt and seen most ashore. For additional information on Fathom, visit www.fathom.org.